Once you are bitten by the yoga bug, it can lead to a lifelong love affair. You’ll begin to wander across studios and locations across the world yearning for more knowledge and skills. The best part- you’ll want more! Those few who choose to dedicate their passion to fully master this intricate art of finding inner peace will feel the urge to share the message with the world. It’s normal to feel the urge to undergo yoga teacher training or just study it for the passion of seeking the knowledge of the inner workings of life. 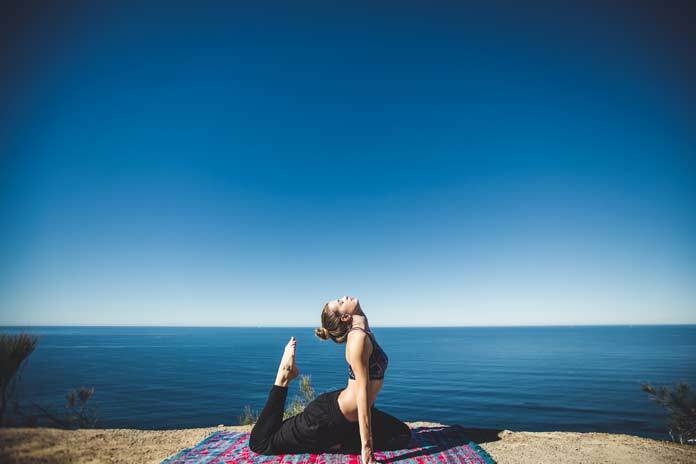 And the yoga mat is the perfect place to be to develop a deeper insight into the anatomy of your body, diverse range of asanas to contemplating the spiritual philosophy of life. The good news? Yoga teaching is open to one and all! If this sounds appealing, I’d recommend you undergo yoga teacher training to dive into the sea of knowledge. The nitty gritty being that yoga has grown so popular that you can find a yoga center almost everywhere. It sounds strange but i feel a bond with all the folks I have met over yoga practice. Since you will be spending a lot of time together, there is a good chance that some of these relationships (or conflicts) can mature into lifelong bonds. You either bond or break over things like couples do when they love or divorce right after siring an infant. We are all a collective of sleep deprived, muscle sore and groggy yoga-junkies who fit together for the short duration when we are on a mat doing poses in Sanskrit. I have bumped into folks who sign up for yoga classes believing they’ll be able to perform a handstand or a lotus position within a couple of weeks. Well, you will be able to do that, but just not ow. These asanas take extreme amount of patience to muster and TAKES TIME! If you think yoga will help you “cleanse” your problems, I’d suggest you sign up for a bootcamp or a retreat. The folks who do end up being good in yoga is thanks to their time of thoughtful and devoted practice. Ever noticed alumnae from ivy league colleges blabber about “when i was in Harvard” or otherwise intentionally refer the school without mentioning its name? Yoga teachers tend to have such selfish biases too. The people who made it in yoga teacher training are those who had to go through a seismic shift in their lifestyle. Some of them might have been managers with busy schedules juggling multi-million dollar projects and others with a lot of free time in their hands…. We are all here for a reason, and that is to discover the inner meaning of life. And those who seek enlightenment usually find it. So if your course plans for “a major breakthrough”, do not panic. It just implies that you are more likely to attain peace in yourself than land you in a lunatic asylum. A favorite yoga training of mine is the intentional repetition of tasks such as sun salute, seeing the patterns in your life, driving a car or even while stuck in an argument. In the end, that’s what you get. You become the yoga teacher that you have been under your guru. Experiences that stretch you up to the limits of your physical and spiritual endurance, while holding a mirror to constantly monitor your progress. Enjoy it. Life is full of surprises. So, my prospective yoga teacher trainee, you have been warned. Previous articleWhat is cataract surgery? Is it painful? James Jones is a writer, who resides in New York City. When he is not writing, James works in the entertainment industry as a model and host. He has modeled for Z.Cavaricci, BCBG, Dolly Couture, and walked for J. Burgos designs during LA Fashion Week.